Naoko Mori is a Japanese actress well-known for roles as Sarah, Saffron's friend in Absolutely Fabulous, Mie Nishi-Kawa in Casualty (1993-1994), and Toshiko Sato in Doctor Who and Torchwood. Mori was born in Nagoya, Japan. Her family moved to New York when Mori was four years old, returned to Tokyo when she was ten, and moved to London two years later. There, Mori took singing lessons, and at the age of 17 was cast as Kim, the lead role, in the West End production of Miss Saigon, opposite John Barrowman. Around the same time, she was cast as Saffron's friend Sarah (also known as "Titicaca" to Saffron's mother, Edina) in Absolutely Fabulous, a role she would continue to play occasionally for over a decade. In 1993–1994, Mori had a regular role on the hospital drama, Casualty as the hospital receptionist Mie Nishi-Kawa. Film roles followed, including appearances in Spiceworld: The Movie (1997) and Topsy-Turvy (1999), and a leading role in Running Time (2000). Mori also appeared in the television programmes Judge John Deed (2001), Spooks (2002) and Mile High (2003). In 1995 she had a small role as a Japanese computer hacker in the film Hackers. Mori had a major role in the 2005 BBC docu-drama Hiroshima, which contained dramatic re-enactments of the 1945 atomic bombing. Mori also provided the voice acting for the villainess Mai Hem for the game Perfect Dark Zero. Also in 2005, Mori had a small role as "Dr Sato" in the Doctor Who episode "Aliens of London". 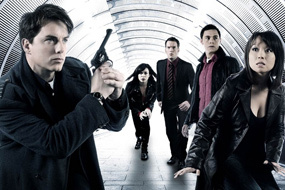 Producer Russell T. Davies took note of her performance, and decided to bring the character back as a regular in the first two series of the Doctor Who spin-off Torchwood. 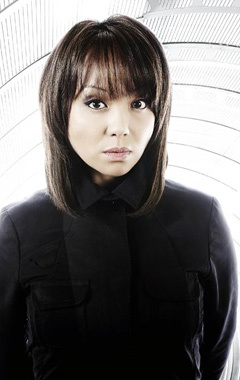 Mori's Torchwood character, Toshiko Sato, was killed in "Exit Wounds", the final episode of Torchwood’s second series. However she has not ruled out a series 3 return. She returned to the West End on 2006, when she took over the role of Christmas Eve from Ann Harada in the London production of Avenue Q.